Officials said the chopper service is being introduced for pilgrims from this year to fly them from Bhaderwah to the pilgrimage base camp at Rishi Dul near Kailash Mansarovar shrine in eight minutes for Rs 2,950. 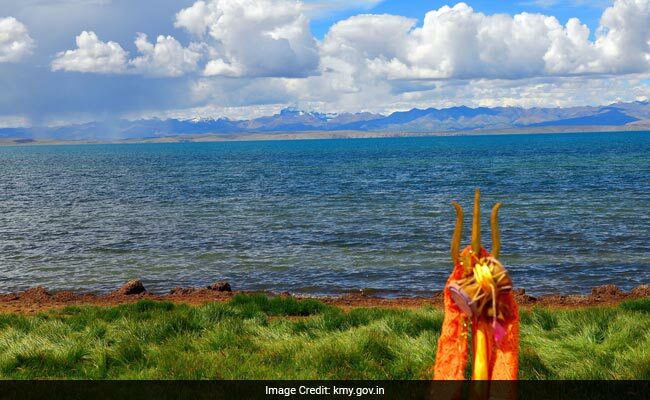 The annual Kailash Mansarovar Yatra to the sacred lake shrine at 13,000 feet will begin today from Doda hills with a first ever chopper service too ready to fly pilgrims, officials said Wednesday. They said the chopper service is being introduced for pilgrims from this year to fly them from Bhaderwah to the pilgrimage base camp at Rishi Dul near Kailash Mansarovar shrine in eight minutes for Rs 2,950. The district administration officials said the Charri for the Yatra will be taken from Vasuki Nag temple at Bhaderwah to Kailash Kund at an altitude of 13,000 feet. The pilgrims will come to the main temple at Kailash Kund from Udhampur and Kathua on foot via different routes which converge at Rishi Dul at Kailash, they said. Doda district administration will introduce chopper service this year for the first time on trial basis, they added. The helicopters will operate from a helipad at Bhaderwah degree college to Rishi Dul, the final base camp for pilgrims. The service will be available only for three days from September 6 to 9, they added. The one-way fare for 8-minute chopper flight to the shrine will be Rs 2,950 per passenger. The helicopter will have a one way flying time of 8 minutes. It is expected that the helicopter service will give a major boost to the pilgrimage tourism in the region, they said.